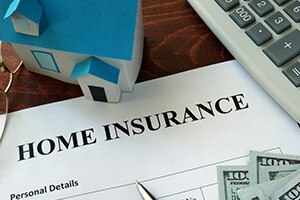 Many new homebuyers who work from home do not realize that homeowners' insurance will not cover their business losses. Generally, people who operate businesses or work from home must obtain insurance coverage specifically for the home business, including loss of equipment and liability to others based on business transactions. You should consult your insurer before assuming business losses are covered. If you simply file a claim for losses under your homeowners' insurance policy, you may discover that you do not have coverage for them, or in some cases, your policy could be canceled. At Pulgini & Norton, our Boston real estate attorneys can help you determine whether to obtain home business insurance and which policies might be appropriate. When you buy a residential property, you may intend to use it as both a place of business and a home. In most cases, there are a number of types of insurance that can guard against losses, including title insurance and homeowners' insurance. However, business uses of your home should be protected through the purchase of home business insurance. This type of insurance may cover events such as the theft of a computer, the loss of business equipment as the result of a fire or flood, or a lawsuit by a business associate who visits your home to discuss business and gets hurt on the property. In some cases, you can simply add a rider to your homeowners' policy to cover the risk of a business loss. Usually, the cost of the rider is low, but the amount of coverage received may be sufficient if your business is relatively small, without much equipment or many business-related visitors. For example, freelance writers or accountants who primarily work using their email and do not have a lot of assets may require very little coverage. In other cases, it may be more appropriate to obtain a comprehensive business owner's policy to protect against both economic losses and legal liability to others. This would provide coverage for a wide range of contingencies and may be appropriate when there is more than one employee, more significant assets, and frequent business visitors. To figure out how much coverage you need, you will need to have a sense of the full replacement cost of your business equipment and your home office, as well as other business assets that you keep at home. You should also consider liability coverage in case of accidents that cause injuries to your business colleagues, employees, or customers. Finally, it may be worthwhile to evaluate how much coverage you will receive under a home business insurance policy in case you accidentally hurt someone or damage someone’s property while on a business trip for a business that you run out of your home. There may be a wide range of considerations when you buy a home with the intention of using it as a home office or business location. Our experienced Boston real estate lawyers can help you choose home business insurance and make other important decisions about a property that you plan to use for both home and business purposes. Our firm also advises and represents buyers, sellers, associations, and lenders in Waltham, New Bedford, and Lowell, among other Massachusetts cities. Contact Pulgini & Norton at 781-843-2200 or through our online form for a free consultation with a home insurance attorney.